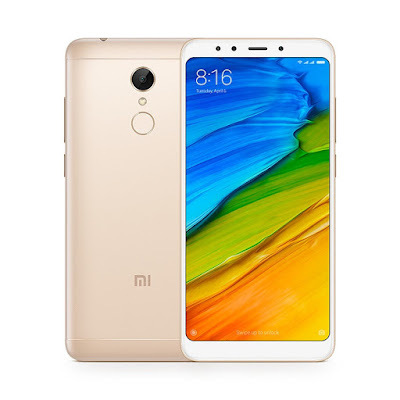 Why is the redmi 5 (32GB) is the best mobile under 9000? Xiaomi Redmi 5 runs on Android 7.1.2 Nougat. This smart phone has a 5.7-inch HD TFT display. The other variants of this mobile is Redmi 5A . It has 12MP rear camera with 125 micro pixels and equipped with an LED flash and a powerful 5MP front-facing camera . This device is powered by a 1.8GHz octa-core Snapdragon 450 a powerful processor and 2GB RAM. It has 16/32GB internal storage which can be expanded by a microSD card . Connectivity options include 4G/3G/2G, latest WIFI, Bluetooth 4.2, GPS, and a microUSB 2.0 port. The device is powered by 3,300mAh battery. The next variant of this mobile would be Redmi 6. The Redmi 5 equiped with 5.7-inch HD TFT display which is combined with decent viewing angles that offers good view in the heavy light also. It looks really beautiful with very less bezels. For photography, the smart phone has a 5 MP front-facing camera that can use for video calling and taking selfies. At the back side, the handset comes with a 12MP rear camera which allows you to take hd images and videos. The images and videos shoot nice in both dark and bright light conditions with the LED flash. The most important points of this smartphone is that the mobile has a big battery. The battery last easly a day even in heavy use. You can run numerious application without thinking about the battery. It has power saving mode which automatically get on at 15% . Redmi 5 is powered by a 1.8GHz octa-core Snapdragon 450 processor and it is bounded with 3GB RAM to make the users take a smooth and lag-free experience of smartphone. Snapdragon 450 is the best processor for mid range phones. At this price range other phones comes with generally 425 or 430. Redmi 5 comes with 32 GB internal storage for storing media files and other data, which can be further expanded upto 128GB by using microSD card. If we talk about connectivity options the phone comes along with 4G, Bluetooth 4.2, GPS, Wi-Fi 802.11 a/b/g/n, and a microUSB 2.0 port. Conclusion : - Xiaomi redmi 5 (32GB and 3Gb RAm) is the best mobile phone under 8000. It has almost all the important features and if you are planning to buy any phone then you can go for it. Friends if you are searching for best mice fir youtube then you must but this mic. 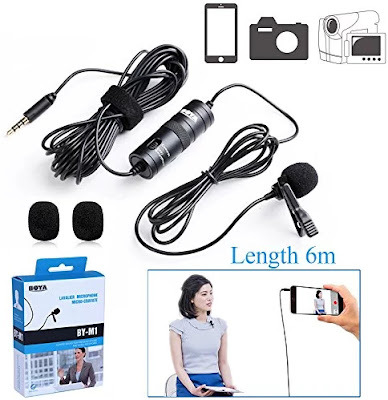 Friends I have tried this mic and believe me it gives you amazing sound quality. Many bug YouTubers also uses this nic. I am going to explain why Gorilla glass is the best screen protector for mobile phones. These days every people want to know that why Gorilla glass is so important. Here is the answer. Read this article fully and you will get your answer. 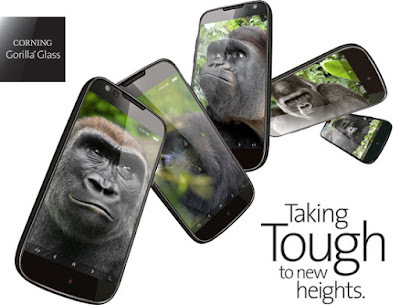 Gorilla Glass is a brand of specialized toughened glass by Corning. Currently the company has lunched its latest generation glass that is Gorilla glass 6. Corning is very old and specialized brand in the field of glass making. It makes various types of glasses for mobiles,cars,windows etc. The company always try to make a glass thinner,stronger,durable and scratch resistance. How to it comes in the field of mobile phones? In earlier days Corning did not make glasses for Mobiles. When apple was going to lunch its Iphone then the company went to corning and tell the corning to make a thin glass that could give the better protection the screen of the Iphone and that became the first phone to have glass that was thin as well as strong. The company gave separate name for this special glass that is Gorilla glass. Versions indicates strengthen in such a way '' hiegher the version better the glass will be ''. It means the Gorilla glass 6 is the best screen protector till now. The company has recently lunched this version and claimed that this version of the glass is 2x stronger than Gorilla glass 5. These days mostly mobile phones comes with Gorilla glass protection because its best performance this glass is costly than its other competitor glasses. So this glass is not given by the mobile company in the lower-end phones. The company claims that 6 billions devices are protected with Gorilla glass. Why is the redmi 5 is the best mobile under 8000? Let's start with what Gorilla Glass 6 can do ? Corning company that makes Gorilla glass 6, says it has focused here on durability over time. In its own testing, the next generation of Gorilla Glass 6 held up over 15 drops from a height of 1 meter on rough surfaces and it survived. That’s up to twice what Gorilla Glass 5, released two years ago, could manage. Introduction to Corning Gorilla Glass 5, a new glass solution that increases the bar for protection against more droplets than before, 1.6 meters, hard to avoid shoulder height, falls on some surface to 80% . It is better up to 4x in the drop failure height compared to the competitive specs, whereby consumers drop protection, when they snap photos, go to the video, watch the video or at the shoulder level or other everyday activities Their phone needs to be spoiled. And the best part is that Gorilla Glass 5 is so hard, yet it provides damage resistance, optical clarity and touch sensitivity. Gorilla Glass is famous for ensuring that our mobile devices use the Gorilla Glass 5 The final combination of security and performance for high-resolution touch-enabled devices, covering OEM consumers. Gorilla glass is the best screen protector till now. If you are planning to buy new phones even in mid range. You must check whether the phone has Gorilla glass protection or not and you should buy the phones has gorilla glass protection. Redmi 5 is powered by a 1.8GHz octa-core Snapdragon 450 processor and it is bounded with 2GB RAM to make the users take a smooth and lag-free experience of smartphone. Snapdragon 450 is the best processor for mid range phones. At this price range other phones comes with generally 425 or 430. Redmi 5 comes with 16 GB internal storage for storing media files and other data, which can be further expanded upto 128GB by using microSD card. Conclusion : - Xiaomi redmi 5 is the best mobile phone under 8000. It ha almost all the important features and if you are planning to buy any phone then you can go for it.